Praying together—separately—has never been easier thanks to Shane Claiborne and Jonathan Wilson-Hartgrove’s new Common Prayer app. 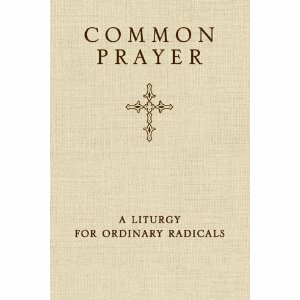 Claiborne and Wilson-Hartgrove are co-authors of the 2010 book Common Prayer: A Liturgy for Ordinary Radicals, which has sold 56,000 copies. The year of morning, midday, and evening prayers are now in a convenient daily app format, complete with an optional “call-to-prayer” alarm that can be customized to fit your schedule. “We hope you don’t just see it as you, your phone, and God; but that you are joining an ancient and wonderful, mysterious and beautiful movement of Christians praying together around the world,” says Claiborne in a video about the app. In addition to the three daily prayers that all users will say each day, there are also devotions, monthly actions, a songbook complete with audio files of hymns being sung by faith communities (to remind you you’re not the only one praying), and a full-text, multi-translation Bible when you’re connected to the internet. This vision may be limited to the extent that the “socially, racially and politically segregated world” enjoys access to the iPhone 3Gs, 4, 4s, 5 and iPod Touch (an iPad version is coming soon), but as a more convenient liturgical option to carrying the paperback around for a year, it might be worth the $9.99 price tag.